« Baker: What’s behind the switch from urban rail to “BRT”? 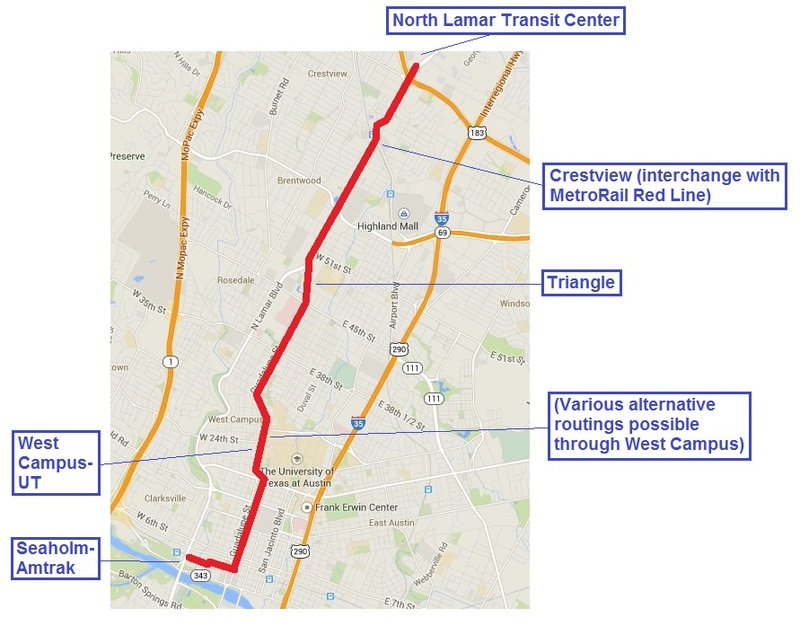 First, Project Connect’s “evaluation matrix” DID consider the FTA’s funding of MetroRapid bus in the Guadalupe-Lamar (G-L) corridor, in that MetroRapid was considered “competitive” service in the “Lamar” sector, and thus points were deducted from that sector’s ranking. Project Connect’s position has been that FTA funding basically means that withdrawing MetroRapid and replacing it with urban rail is not an option — thus urban rail would “compete” with the supposedly “permanent” MetroRapid service. Second, since the late spring/early summer of 2012 Project Connect has repeatedly affirmed that the MetroRapid project, because of FTA funding, remains a daunting obstacle to urban rail until such time (initially expressed as several decades) as the economic life of the project is exhausted. Various articles on ARN, as well as other public feedback, have vigorously challenged these contentions by City of Austin (COA) and Project Connect representatives. 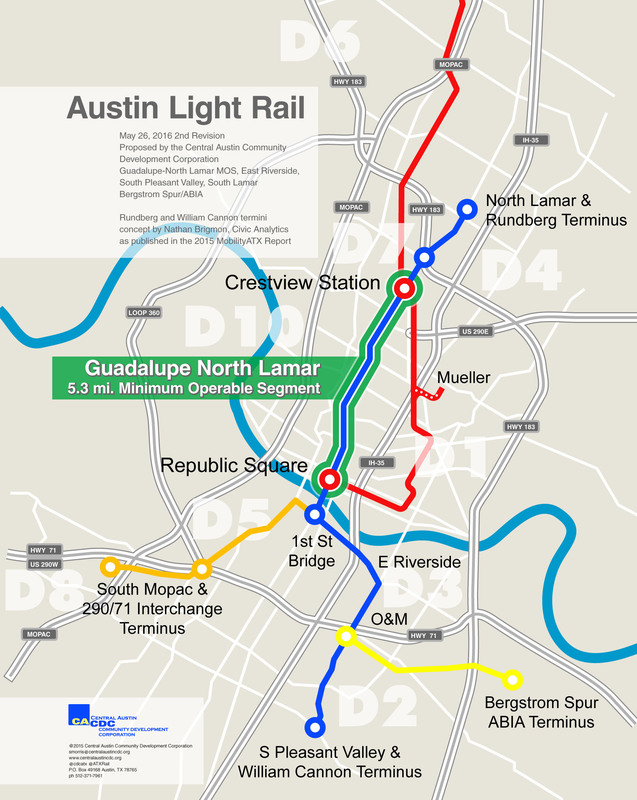 These representatives have repeatedly portrayed the MetroRapid project, mainly because of FTA funding, as a de facto impenetrable barrier to urban rail, insisting that replacing this very minimal investment in bus service, installed with movable facilities, would disastrously jeopardize all FTA funding for major projects in the Austin area. Under pressure and criticism from various community pro-transit activists, City and Project Connect officials have dangled the possibility of eventual installation of urban rail (or other supposedly “high-capacity transit”) in the G-L corridor at some unspecified time in the distant future. But this project is long overdue, and the need to proceed with it is immediate. How does that ranking address funding at all (which is the issue at hand, and the whole point of the article)? It doesn’t. An equivalent system, completely Austin/CapMetro funded, would have shown the same ranking. Or is your issue that there’s any negative points at all for the existing system? What’s wrong with that? If the corridor has an existing system, shouldn’t replacing it show a clear and present improvement over and above it, before we spend a billion dollars on the replacement? Your questions are adequately answered in my previous reply and the article itself. And this “billion dollar” estimate comes from where? 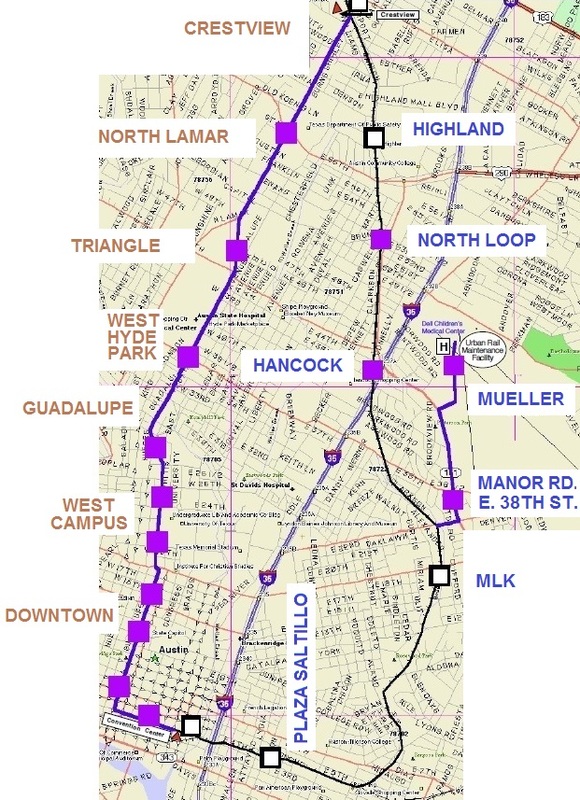 Project Connect’s “study” didn’t even evaluate the Guadalupe-Lamar travel corridor at all, so I doubt they’ve put a pricetag on urban rail there. But then, who knows what the honchos do down in their bunker?